Many SSD manufacturers accompany their SSD devices with a software utility package that helps getting the most and best of their drives. This package helps to maintain the performance of the SSD and keep it running flawlessly and on the utmost level of functionality. 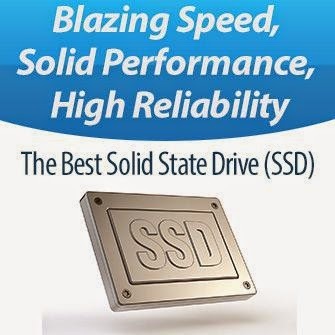 With the testimonials of IT professionals, one of the best things in Intel solid-state drive (SSD) is this software package which known as Intel SSD Toolbox that was carefully coded and designed to serve its purpose very well. [*]. Accessing the Self-Monitoring, Analysis, and Reporting Technology (SMART) attributes for Intel SSDs, as well as other drives. [*]. Reporting the drive identification data for Intel SSDs, as well as other drives. [*]. Running diagnostic scans on Intel SSDs to check for any READ or WRITE errors. [*]. Checking the SMART thresholds and viewing recommended actions for Intel SSDs, as well as other drives. -> Copy the file TurboBoostSetup.exe to your system. -> Double click on TurboBoostSetup.exe. Accept the UAC prompt, if one appears. -> Follow the installer prompt instructions to complete installation. Intel SSD Management Tools  Enables monitoring and managing of any Intel SSDs associated with this computer. View Drive Information  Displays the model number, serial number and firmware number for each drive on the system. It also lists the ATA and SATA capabilities for the selected drive. Check SMART Attributes Lists the SMART features and their respective thresholds, and, if necessary, indicates any action to take. Run Fast Diagnostic Scan  Analyzes the first 1.5 GB of an SSD to determine whether there are any READ or WRITE errors. Run Full Diagnostic Scan  Analyzes the complete SSD to determine whether there are any READ or WRITE errors or any bad blocks. – Provides an update to the SMART Error Log after the download microcode command is executed. – Other ongoing improvements were made to address manufacturability and IOPs consistency. Just be noted that before launching the installation file you are very recommended to carefully read and implement the instructions found in the Intel SSD Toolbox User Guide, Readme, and Release Notes. Is 120GB/128GB Solid State Drive (SSD) Enough? Enjoy The Power Of SSD With Windows XP - Is It Possible?